This year’s list is ordered in likelihood the game will actually come out in North America during 2015. All entries are considered based upon the current release schedule in good faith the publisher will hit the deliverable date…but expect to see at least 2 (if not 4!?) of these games on the Top 5: Most Anticipated Games of 2016 list – as is tradition. Did you see the E3 2015 trailer for Horizon Zero Dawn – it was amazing. Easily the most exciting new IP to come from E3, HZD combines action-adventure and roleplaying mechanics set 1000 years from present. Mankind appears to be segmented into tribes, fighting for survival against giant mechanoid monsters that roam the land. Players control Aloy as she hunts these dinosaur robots, armed with a bow and makeshift weapons. Hopefully the game will explore the lore of how the world fell apart and show strong action mechanics, as all monsters can be defeated using multiple methods. 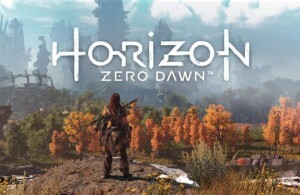 I expect Guerrilla games, of Killzone fame, will be considered a top-tier developer in the Sony stable after this series launches. We don’t really know much about the next installment in the Mass Effect series (…please be excited for E3). 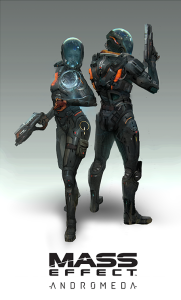 This entry doesn’t look to be straying too far from the 3rd person shooter/RPG hybrid that ME2 & ME3 were and is still being developed by Bioware. That is enough for me (and you) to be excited. Andromeda is set after the events of ME3 and if the team is smart will not reference Shepard, his wacky ban of misfits or Reapers at all. This is a new start and should be afforded the opportunity to forge its own path – just keep the engaging combat, branching conversations and divergent storyline paths in place. Oh, boy – I hope this game comes out in 2016 – and actually comes out for the Wii U. Because the Big N moved Twilight Princess from Gamecbue to Wii (I know it came out for both…but it was more difficult to find for GC) and with the NX already announced, plus the creators announcing delays for this title AND there no longer being a release date…all signs point to this either being an NX title or a hybrid release across both. Either way is bad for Wii U owners. 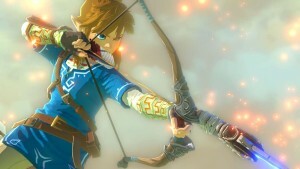 Either way, Zelda remains a strong series, 19 entries later, that is able to deliver strong combat, exploration and a childhood sense of wonder. In Persona 4: Golden you play through a year of high school – making friends, exploring Japan, engaging in overused Japanese adventures like a visit to the hot springs and moonlight as an adventurer who dives into a parallel universe to defeat evil. 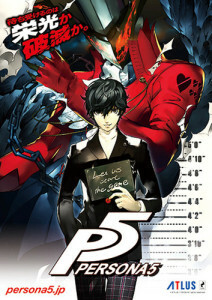 In Persona 5 it appears you do many of the same things, except our young hero is a thief who breaks out of society’s norms, personas can be summoned in the real world and there are added platforming sections. Atlus is making an edgier, grittier version of the universe – but I have faith in the tem that this isn’t just for shock value. At their heart, Atlus makes story driven games with compelling and relatable characters – hopefully this is what they will continue to deliver. 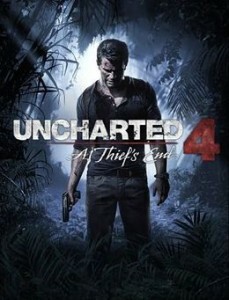 The only game on the list with a firm release date (and the only one that I am actually confident will come out this year) – Uncharted 4 is my most anticipated game no matter how you organize any list (except maybe alphabetically…). Naughty Dog is the best modern developer, each Uncharted is better than the game beforehand and The Last of Us can easily be considered the best game created. Uncharted 4 has had its share of behind-the-scenes drama but I expect the team to put that aside and deliver the perfect farewell letter to the Nathan Drake saga.